Jump to video What would more troops mean for Afghan war? 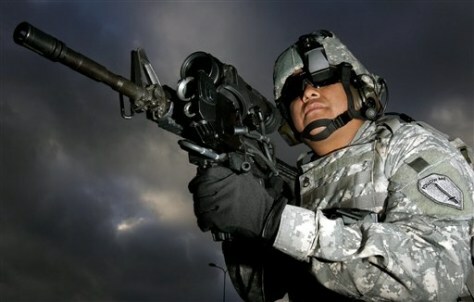 In this Nov. 27, 2006, photo, U.S. Army Staff Sgt Ruben Romero, from Fort Benning, Ga., demonstrates new technology making use of a magnifying video camera and thermal imaging on the M4 weapon. Roughly 500,000 M4s are in service, making it the rifle troops on the front lines trust with their lives.